Located on the south coast of Australia, Adelaide is the capital of South Australia, the 4th largest of our states and territories. South Australia is known as a culturally vibrant state with Adelaide hosting some fantastic Music and Arts festivals. South Australia features a mix of amazing landscapes from the beautiful beaches of Glenelg just 25 minutes on the tram from the centre of Adelaide, the picturesque Adelaide Hills just 30 minutes from Adelaide City, rugged coastline of the Great Australian Bite where you can see the majestic Southern Right Whales, the unique beauty and pristine wildlife sanctuary of Kangaroo Island, Australia's iconic Murray River, the ancient and seemingly empty South Australian desert outback and the Flinders Ranges to the world famous Wine region of the Barossa Valley. The Barossa is renown as a region that produces some of the worlds best red wines, it is a place of relaxing rural beauty that also offers over 80 cellar doors, some first class dining and is just 2 hours from Adelaide. The Barossa is a popular destination for Conference groups. South Australia is easily accessible from any Australian capital city and with the Adelaide airport just 20 minutes from the city centre conference organisers will appreciate the convenience of this popular destination. Adelaide and is surrounding regions offfer an excellent selection of conference hotels and venues from luxurious 5 star city centre venues and the less expensive city centre venues for those on a tight budget to rural venues in some of Australias most beautiful locations. South Australia also offers the opportunity for soem fantastic Team Building Activities and Social Programs. M-Power Accommodation has been providing a venue finding service for many years. We have the experience and unbiased perspective to be able to provide you with the range of options and advice that will help you find the right venue for your next conference. Rydges South Park offers conference organisers a reliable 4 star conference venue in Adelaide. This conference hotel is located on the southern edge of the city centre, adjacent to the Southern Parklands and just 15 minutes drive from Adelaide Airport. 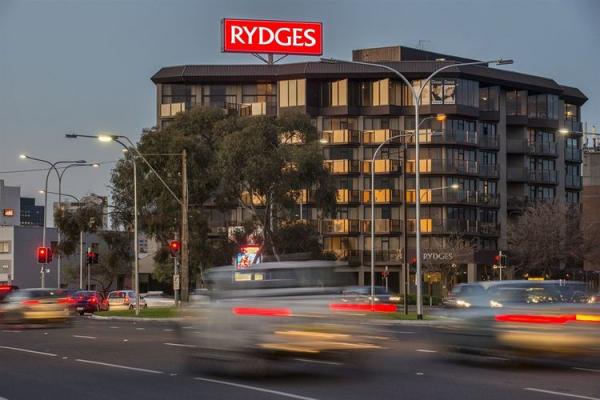 Rydges South Park features 8 conference rooms and a large skyterrace that are well suited to groups of up to 250 delegates, while comfortable well appointed accommodation, excellent catering options and experienced staff will ensure a memorable conference or event. 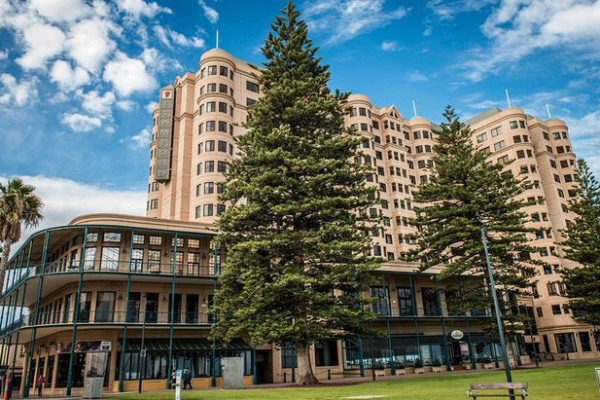 The Stamford Grand Adelaide offers conference organisers a high quality beachside conference venue that is within easy reach of both Adelaide CBD and Airport. The venue offers conference rooms with natural light that can seat up to 700 delegates. The Stamford Grand Adelaide features luxury accommodation, some rooms offering views of the Ocean, along with high quality dining options. This is a venue that can provide a memorable experience for your delegates. The Stamford Plaza Adelaide is a first-class conference venue in a convenient central Adelaide location. Close to public transport and just 15 minutes drive from Adelaide Airport, this conference hotel is located opposite Parliament buildings and the Torrens River. Rundle Mall, Adelaide Convention Centre and the Adelaide Oval are also within easy reach. Accommodation and Conference facilities are of a high standard and with a great selection of food and beverage options, The Stamford Plaza Adelaide is a popular choice if you are looking for a conference venue in Adelaide. This 4 star resort style hotel and conference venue is just over an hour from Adelaide Airport and offers 140 elegant hotel rooms along with Day Spa, Golf Course, Restaurant, Heated Pool and plenty of onsite parking. With 9 conference rooms to choose from and capacity for up to 250 delegates, Novotel Barossa Valley is an ideal residential conference venue in S.A. A range of on and offsite activities are available, including tennis, golf, and wine tastings, all within an hours drive of Adelaide airport, with resort suites, one and two bedroom apartments on offer. 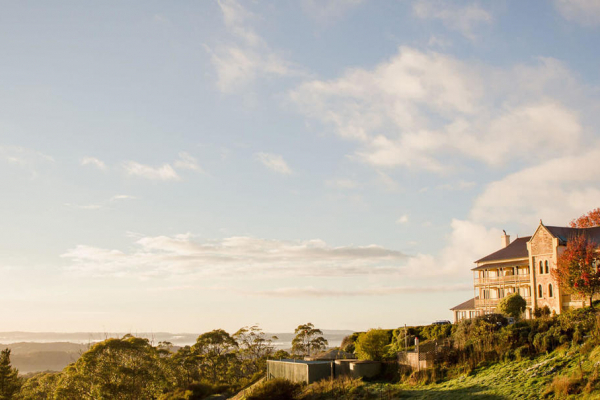 Mount Lofty House is a unique rural retreat and conference venue located just 15 minutes from Adelaide city centre. Built over 150 years ago in the picturesque Adelaide Hills, Mount Lofty House offers meeting planners the ambience of a grand old Australian country house, naturally lit conference rooms, state-of-the-art audio visual facilities and first-class catering. With just 33 accommodation rooms this venue is particularly suited to small residential conferences and meetings where delegates can relax and focus in a beautiful and peaceful environment. The Chifley Hotel On South Terrace Adelaide offers 4 star accommodation and conference rooms in Adelaide. This venue is located on South Terrace across the road from Parklands, just 15 minutes drive from Adelaide Airport and within walking distance of Adelaide's popular West End and Rundle Mall. 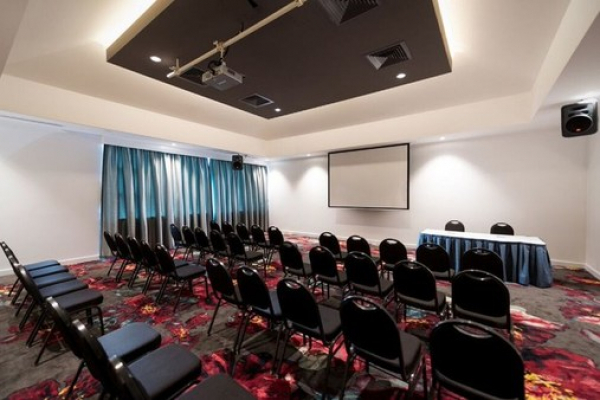 The Chifley Hotel On South Adelaide offers meeting rooms that can seat up to 150 people in a theatre style setting. Listen to what our previous customers has got to say about us. Thanks Stephen. Your company was a real help to me as it’s hard to know who to go to with the vast numbers of venues available – especially when this is not a usual part of my job. You saved me a lot of calling. I will certainly use you again for future workshops. The service has been great. Copyright © 2019 Adelaide Conference Hotels. All Rights Reserved.